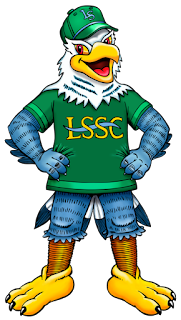 He’s going to be the face of LSSC, and will make appearances at sporting events, on-campus events, and even local community events. Students who are interested in being Swoop can soon apply for the position and will be rewarded for their efforts. Dr. Brady told The Angler that creating the mascot was a fun and intricate process, and the team in charge of the mascot program worked tirelessly to make it happen. After Swoop appears on campus next week, The Angler will be publishing a detailed story on his creation! Feel free to reach out to The Angler at theangleronline@gmail.com.